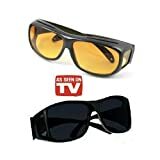 Are you searching for the best pair of trekking sunglasses India in 2019? Before swiping your card, you need to understand the features you need to check before purchasing your eye-savior. On the high altitude of Himalaya, hiking sunglasses are the only shield to protect your retina from ultra-violet rays. Buying sunglasses is not a big task. But we find various types of trekkers over there – wearing contact lenses, having power glasses. 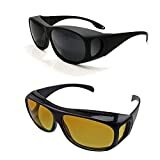 If you don’t have power glasses, it will be easier for you to find your trekking sunglasses, but in the other case, trekkers are indecisive to select the perfect pair for them. Before going to the trekking sunglasses India guide, let’s understand the requirement of sunglasses in the snow trek at high altitude of Himalaya. Our eyes are also prone to sunburn like our skin. Continuous exposure of naked eyes in the sun will affect our cornea. It is called photokeratitis (also known as snow-blindness). With the excessive exposure of cornea will cause a burning sensation and temporary blindness in the eyes. The risk is literary getting doubled with the snow-clad environment. The snow beneath also reflects the sunlight and your eyes are doubly impacted. With this continuous exposure, your eyes have the high chance to get damaged with snow blindness. People without power glasses have less headache to purchase a standard UV protected sunglass. But what about the people with the spectacles? If you are wearing power glass, your trekking sunglasses without prescription lenses will be ineffective for you. There are four solutions for you. If you have the prescription lens, you can buy contact lenses for the trekking time. Every day, you need to change your glass in the night before sleeping. If you have contact lens- you have the freedom to use any UV protected sunglass. They will cover your eyes, and you have less headache than searching a prescribed one. But using a contact lens is not a prudential decision while trekking. While wearing in and out contact lenses, you need to maintain hygiene. Otherwise, your sensitive eye can be infected. In a hiking tour, it may not always be possible to maintain. So better not to try the risky path. It is an old hack to fit your sunglass over the power glass. But the problem is it may not always be installed on the same. As a result, your eyes will have the exposure to the sun. The is purpose is not fulfilled. This is something you can try. Clip-on glasses has the clip to attach with your prescribed spectacle. The advantage is to turn your daily spectacle into a sunglass. They are far more economical and easy to use anywhere at any time. This is the best hack for the prescribed glass users who are searching for the trekking glasses India. 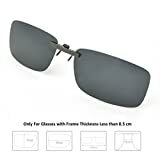 The fit on sunglasses are on the same idea as the clip on glasses. But the only difference is that fit on glasses are separate sunglass that covers your prescription eyewear. They look like regular sunglass, but you can wear them on your usual spectacles easily. The fit on glasses can be adjusted most of the available eyewear in the market until your spectacle has any unusual size of the frame. They are comfortable and easy to use. Note : This Spectacle Frame Is Only For Suggestive/Descriptive Purpose It Is Not Included With Item Product Package. • Your personal & stylish prescription sunglasses ! Buy Now for Safer Driving! Your personal & stylish prescription sunglasses with Slim Metal Clip! Buy Now for Safer Driving! HD Vision Wraparounds let you see with enhanced color and clarity just like high definintion TV's and at the fraction of a price of designer glasses.